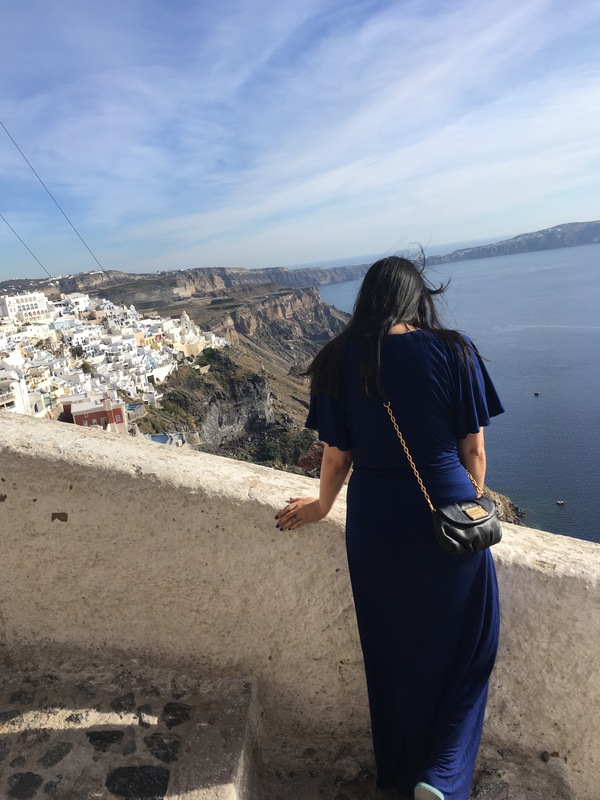 Santorini was beautiful – there are not enough adjectives to describe this wonderful island! It’s also the reason why I’ve decided to do two posts – there’s so much to show! 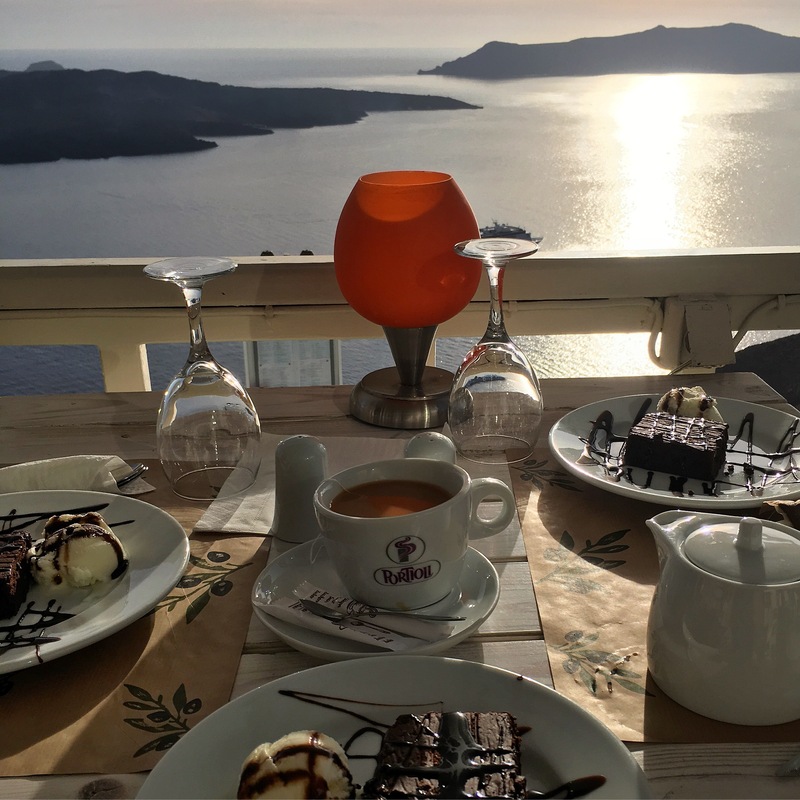 We were in Santorini for 5 days which is a good amount of time to relax as well as take in the sights. We went towards the end of April which was a great time to go as there weren’t many tourists. The only risk is the weather as it can be a bit unpredictable – we had a couple of really chilly and ridiculously windy days but, other than that, the weather was really warm and pleasant. We stayed at The Majestic Hotel, a 10 minute walk to Fira which is the island’s capital. Staff at the hotel made the trip amazing – they were so friendly and helpful at all times plus the pool was gorgeous. I would definitely go back! Breakfast on one of the days there – greek yoghurt was my favourite! 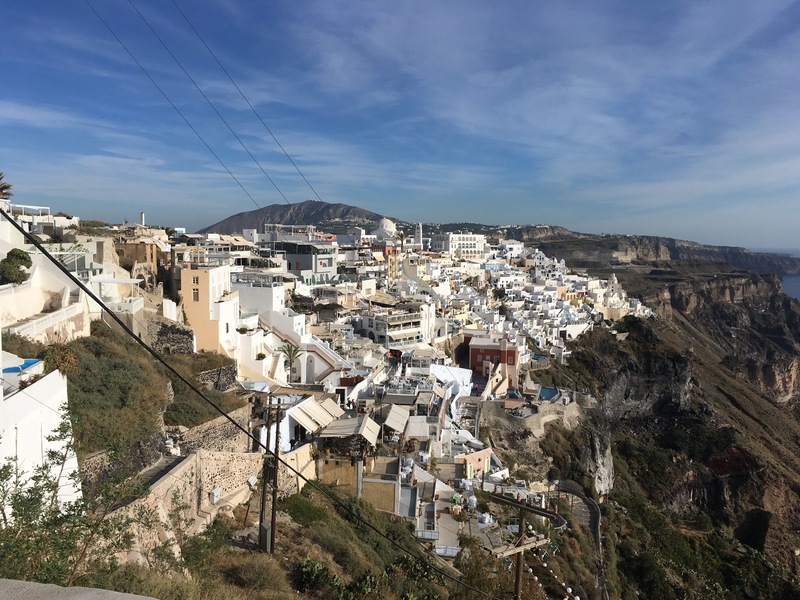 We spent the first day walking around Fira, getting a bite to eat and looking for some clothes and other essentials to last my friends until they got their luggage – thank God for Tally Weijl! Fira is such a picturesque town with its cobbled streets and jaw dropping views of the volcano. There are lots of places to eat and the town is really easy to navigate as it’s pretty small! Once you get on the cliffside, there is a picture postcard view literally every where you look – warning though, beware of the donkey dung! There are lots of donkeys that transport people up and down the cliffs (I felt so bad for these poor animals!). First stop, Nikolas Taverna – greek salad to start! I was too scared to try out this foot treatment! Our first sunset in Santorini and it did not disappoint! 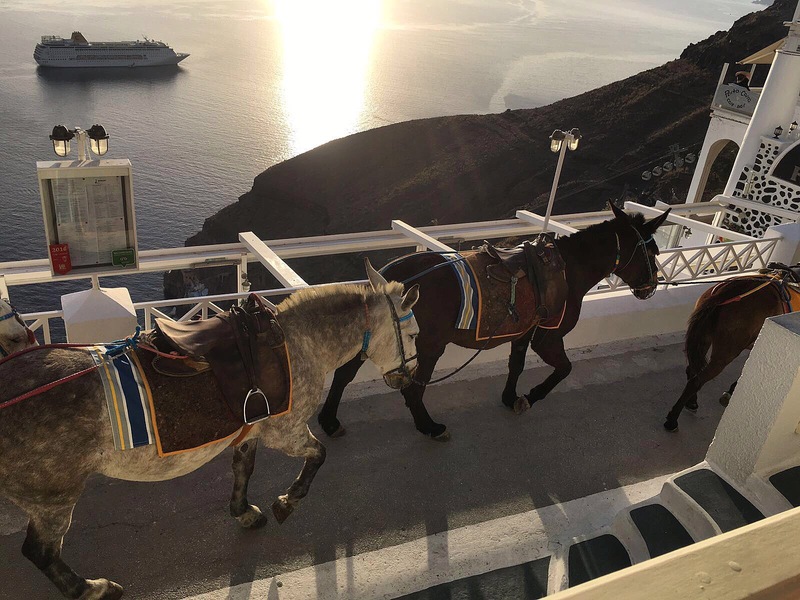 Santorini doesn’t have lots of tourist attractions – it’s more about enjoying the scenery and relaxing. Having said that there are a few sights. In Fira, we went to the Museum of Pre-historic Thira. It was quite small but interesting though wasn’t a must-see in my opinion. The museum holds some artefacts that were found in Akrotiri, an archaeological site on another part of the island and which I would recommend seeing. You can get a combination ticket at Akrotiri which works out a lot cheaper if you want to see the museum as well. If you do go to Akrotiri, be sure to also walk down to the Red Beach which is a 10-15 minute walk (named after the colour of the red volcanic rock) – not your typical white sandy beach but still pretty cool! 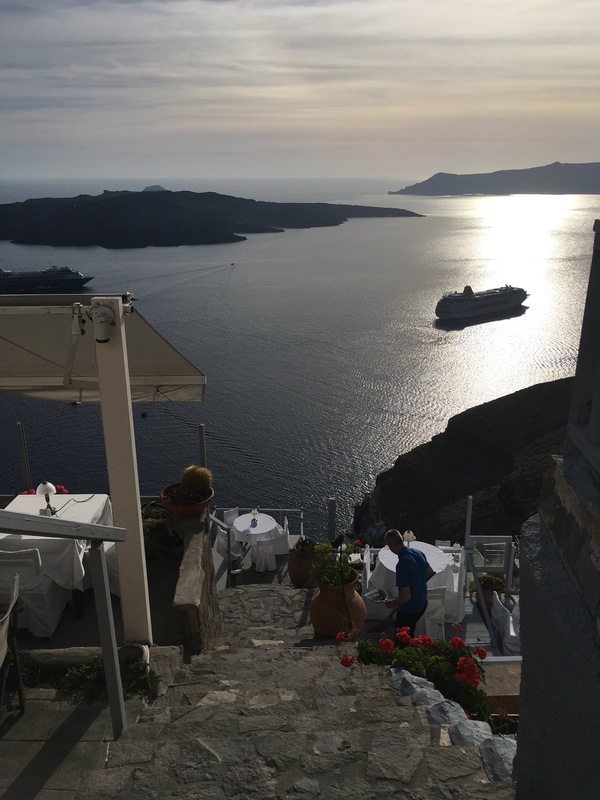 ARGO, the best restaurant in Fira – amazing service and food! Vegetable moussaka – no words. It was so good!